The Trijicon GL02 Night Sight Installation Tool Kit helps you easily install Trijicon brand night sight sets for All Glock models. This tool kit is works for the Trijicon Bright & Tough and HD Night sight sets. It will not install Trijicon Glock suppressor sights. 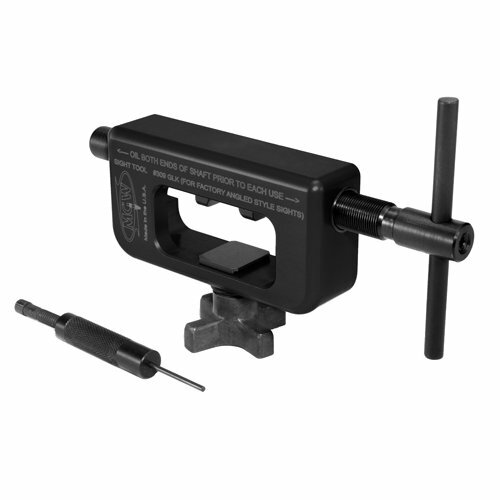 The complete package contains: Rear sight pusher tool and front sight screwdriver for the small retaining screw. If you have any questions about this product by Trijicon, contact us by completing and submitting the form below. If you are looking for a specif part number, please include it with your message.